Have you ever switched propane suppliers to get a lower price, then watched your prices go up while new customers pay less? At K-Gas, we will never do that to you. We think it should be simple. By simple we mean that the price we offer you per gallon is the price you pay. No additional delivery fees. No hazmat fees. No surprises. What you see is what you get. What you get is what every other customer gets. We don’t believe in long term contracts. We know that if you find the right provider, you will come back month after month without a contract. If you aren’t happy, then we don’t want to tie you down! We know that you might find a lower price per gallon offered somewhere else, but beware, often there are additional fees which result in you paying more overall. Worse, you get stuck in a contract for a lower fee and then the prices increase after the initial term of the contract. Bottom line. We’re old fashioned. We are family. We value our customers. We treat you the way you want to be treated. Once we have a customer, we usually have them for life. We also serve our customers and because we are local, we can take care of you quickly. So if you are a customer and you have a problem, when you run out of propane or have a gas leak, or need an appliance converted, we are there for you! 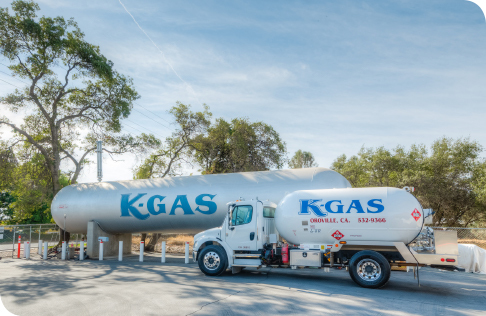 Ready for simple, honest, transparent propane service? We would love to take care of you.